Creating, adjusting and managing employee work schedules is a tremendously time-intensive task. That’s no surprise to those involved in the process. Workforce planning can occupy countless hours for your key staff each pay period, including department managers and HR. For managers, the hours it takes to consider service staffing needs, employee availability, time off considerations, and seasonal fluctuations is immense. Then inevitably, the unexpected happens your employees, resulting in change requests that require supervisors to scramble to find suitable replacements. This cycle has gone on for many years, but today, through the convenience of drag-and-drop, advanced employee scheduling automation, this costly routine can be reduced to from days to hours and hours to minutes. As someone who creates and manages employee schedules, if you have never experienced the exceptional convenience of a drag-and-drop scheduling software solution, you’re in for a delightful surprise! Employee scheduling software has made leaps and bounds in recent years in the simplicity of how supervisors can now create employee schedules, assign the schedule in a few clicks, accommodate changes, and manage oversight for workforce costs. Simply put, by combining the ease of drag-and-drop scheduling with the power of intelligent workforce automation, managers can save invaluable hours in the scheduling cycle each pay period. In general, businesses are constantly seeking ways to innovate processes, eliminate wasted steps and increase productivity. At the same time, organizations are seeking to get more with less, or in other words, increase value output while reducing expenses. This is precisely what an advanced employee scheduler can do for your organization. Let’s review a brief list of some of the scheduling features now available to make this happen. Online Employee Schedule Builder – Is your organization still using hard copy schedules, spreadsheets or some other legacy scheduling tool to build and communicate employee schedules? If you’re not already using a web-based scheduling solution, you’re already in a position to immediately cut numerous hours from the ongoing process… simply by moving to an online solution. Drag-and-drop employee schedule builder – Not all employee scheduling solutions are created equal. In fact, there can be significant efficiency differences on many levels. Some schedulers will save you more time and drive better results than others. One of the most important features is ensuring your scheduling solution offers drag-and-drop ease of use when it comes to setting and adjusting employee shifts. Be sure your choice of scheduler offers this important convenience. Email and Text Collaboration – Another essential feature of your employee scheduler should be the ability to automate emails and text messages to eligible employees when shift changes occur. This way, your valuable managers and even employees are not on the phones looking for help when the process could be tackled in minutes through automation. This method limits the need for employees to share personal contact information. It also allows them to drop or pick up shifts near effortlessly (with supervisor approval). Schedule Shift Templates – Building work schedules is a very demanding exercise. However, you can save a great deal of time by turning your schedules into “templates” for reuse. Your managers can even build their own unique set of templates, and assign those templates to employees in a few clicks… quite literally. Employee Workgroups – Your employees often belong to formal and informal groups, whether that’s within or beyond their department. Scheduling needs may depend on others within the group. Now your supervisors can organize employees into workgroups to streamline how you manage scheduling, assign settings, or even allow supervisors to have shared groups of employees for cross-departmental scheduling. 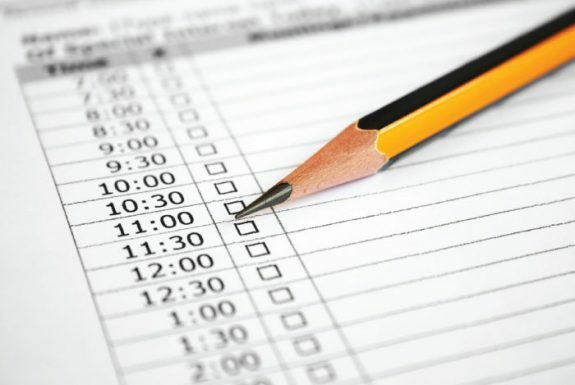 Scheduler Coverage View – Is managing overstaffing, understaffing or scheduling gaps a problem for your organization? With a simple “Coverage View” screen, now you can immediately identify coverage issues, reducing workforce costs, improving service performance and saving time for managers. Employee Best-fit Wizard – When employees request changes to the schedule, it can be very costly to the organization. It can cause managers to scramble in an effort to find a replacement and it can result in unplanned overtime expenses. One of the greatest time-savers in moving to advanced scheduling automation is the ability for managers to instantly identify the best alternative employee when changes occur based on hours worked for the week, overtime and other eligibility considerations. Managing employee work schedules is a very important driver to your company’s productivity and workforce costs. By investing in a simple, affordable automated scheduling solution you can reduce the administrative impact on your managers and organization while improving employee satisfaction and flexibility. Contact us at 941 Timekeeping to learn more about the benefits of an advanced employee scheduler.